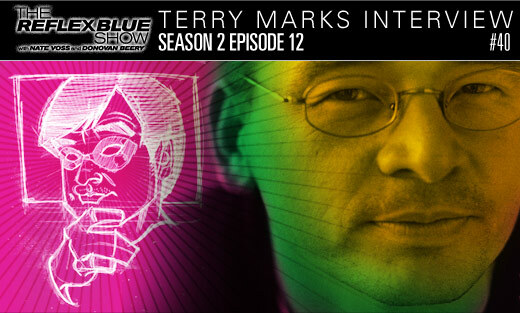 Terry Marks of TMARKS Design graces our latest show. The show that barely happened in the end as it turns out. Immediately after recording, Terry had to head home sick. And the student tip from Mig Reyes also only arrived after Mig was able to recover from his bus getting hit by a truck just minutes before. But we’re glad it all turned out fine for everyone in the end, as Terry talks with us about his new book with Matthew Porter from Rockport: Good Design; Deconstructing Form and Function and What Makes Good Design Work. We also speak about the three dozen or so logos he’s done for DC Comics, how could we not? And hang around until the end (or use the chapter markers we’ve gone back to including in our shows to jump directly to it) for a special appearance by the one and only Eddy Wang. Download The Reflex Blue Show with Nate Voss and Donovan Beery, Season 2 Episode 12 (26 meg) or click here to subscribe to The Reflex Blue Show from the iTunes Music Store. 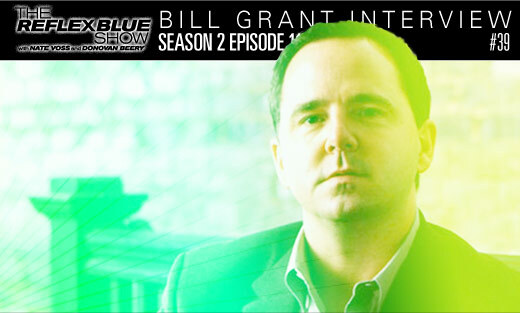 We welcome former AIGA national president Bill Grant to the show today. This is the guy who actually did what I assumed was impossible, and created the original AIGA Design Business and Ethics series. Bill has also just done what many of us designers dream to – sell his own merchandise. But rather than taking the online store approach, he opened a physical storefront directly below his office called “The Store“. And for those wondering what Bill is going to be up to next, we also speak briefly about his upcoming book, 1000 More Graphic Elements: Unique Elements for Distinctive Designs, Volume II. The show ends with a fantastic student tip by Mig Reyes. Take up his advice in the comments below. Download The Reflex Blue Show with Nate Voss and Donovan Beery, Season 2 Episode 11 (28 meg) or click here to subscribe to The Reflex Blue Show from the iTunes Music Store. A day late and all kinds of labyrinthine Garage Band issues later, we have a terrific interview with author Timothy O’Donnell, who’s first book takes a look at the work behind the work. We got a copy of Sketchbook at the studio and we must say — it is impressive. There’s a laundry list of notable designers here, ranging from Small Stakes to Marian Batnjes to Lance Wyman, designer of the ’68 Mexico Olympics. 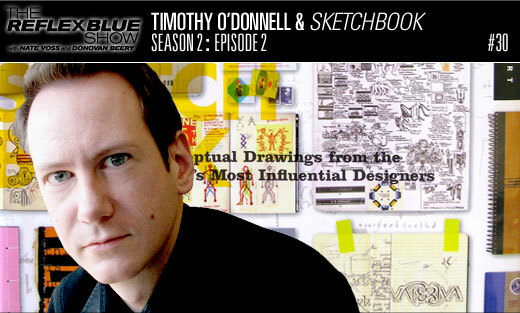 Timothy takes us through the book from idea through conception, which mega-famous designers turned him down, and how to get in and out of Pentagram in under and hour when confronted by Michael Bierut’s 85 sketchbooks. Be sure to check it out when it releases next month. Sorry for the poor sound quality on this one folks — with as much trouble as we had on this recording/editing I almost feel lucky to have a show at all! We’ll try not to subject you to too many more like this. Download The Reflex Blue Show with Nate Voss and Donovan Beery, Season 2 Episode 2 (22 meg) or click here to subscribe to The Reflex Blue Show from the iTunes Music Store.